Access thousands of skilled people for your home & office tasks. From furniture assembly and task around the home like cleaning and gardening to data entry and promotional work or computer and IT support – hire a skilled Airtasker today. When you’re rushed off your feet planning your move and packing things away, it’s easy to forget about the here and now. An everyday task like laundry can quickly become a complex maneuver when you’re bogged down in cardboard boxes or don’t have access to your washing machine. But don’t fret: you can still ensure you’ve got a plentiful supply of fresh clothes by using Laundrapp, an app that makes it super-easy to book in door-to-door laundry service. This means that you can arrange for your clothes to be picked up, washed, and returned to you at the touch of a button, at a time that’s convenient for you. The service is available nationwide seven days a week, so they really will be able to accommodate your needs. The run-up to moving day is the worst time to discover your wardrobe is cluttered with clothes that you don’t wear anymore. And, when the time comes to start packing things up, this can add a tonne of stress that you just don’t need, not to mention all the extra boxes you’ll have to source. Depop is an app that lets you set up your own pre-loved clothes store and start selling just by taking a picture of your unwanted garment. This means that you can streamline your wardrobe ahead of your move, all while making a bit of extra money from your sales. Moving to a new house often causes jobs to quickly pile up on top of one another. You might set out to take care of a task, only to remember that you were meant to do something even more important the day before. Even if you try to apply some order to the chaos, you’ll probably begin to find incomplete to-do lists strewn all over your home. 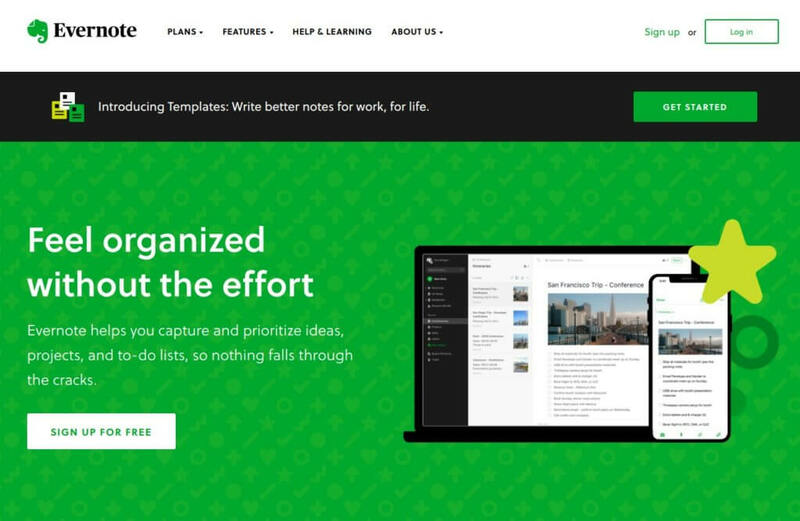 This is where Evernote can be a life-saver. It’s an app that encourages you to keep and update notes and checklists as you go, keeping everything smartly organized for good measure. With all the info about your move kept in one place, it’s much easier to keep track of where you’re at. And, because everything is saved in the cloud, you aren’t in danger of losing anything, either. When you’ve moved in, it can be difficult to find the time to get your new home ship-shape, especially if you’ve got a full-time job or a family to get settled. Basic maintenance work — such as tidying the garden, putting up a shelf, or even assembling furniture — can seem a million miles away, and it’s easy to find yourself wishing you had an extra pair of hands. TaskRabbit is an app that allows you to post your desired job online and then book in a qualified and fully vetted handyperson to get it done. This can be especially helpful if you’ve just moved into a new area and you’re not quite sure what services are available locally. Also, because the tasker will be offering their own services through the app, you can choose a price point that suits you. For many people, a house move is a great opportunity to streamline their collection of books, CDs, and films. Paring down your media will mean that less space is taken up when you’re packing your belongings away, and there will be even less to unpack and organise when you get to your new home. And, with so many options for digitizing your collection available, you don’t even need to say goodbye to your favorite paperbacks, albums, and movies. 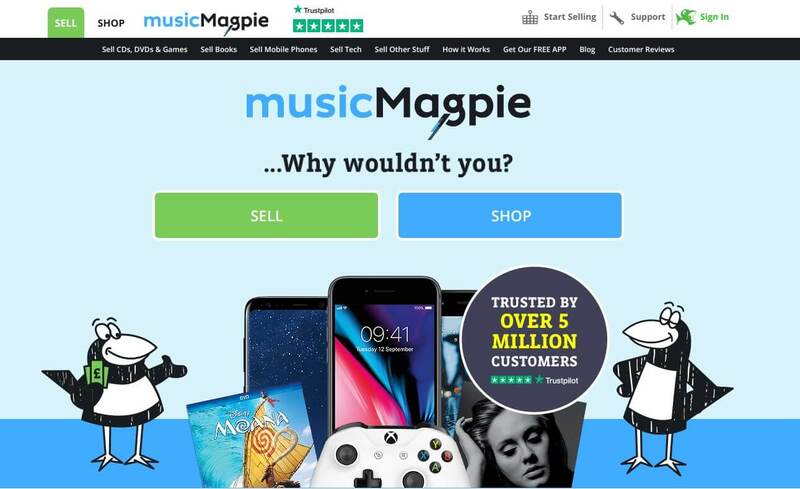 One of the best ways to unload your books, CDs, and films is to use Music Magpie to arrange a quick and convenient sale. The app allows you to scan the barcodes of your media for fast processing, and they’ll even send you free postage to keep costs low. Not only does this require little effort on your behalf, but you’ll receive a fair valuation for each and every unwanted item. Use our five recommended apps and you’ll find that your relocation is simpler and much more manageable. Then, you can enjoy your time in your new home.